When the Borneo Sun Bear Conservation Centre opened its doors to the public, visitors were treated to a rare sight: 28 of the world’s smallest bears, as curious about us as we are about them. I was fortunate to get a sneak peek behind the scenes at the BSBCC on a recent visit to the Malaysian state of Sabah. Everything is set: The visitor center and a second bear house is built, and half a dozen cubs are already clambering over tree trunks and branches, looking around with mischief in their eyes. The Sun Bear is a diminutive creature– the smallest of the world’s eight bear species. An adult male stands at about 1.5 meters (or five feet) in length, around the size of a large dog. Known as a “honey bear” (for its appetite) or “dog bear” (for its size), it is jet black, with a crescent-shaped patch across its chest. It also has a distinctive long, thin tongue, which it uses to delve into honeycombs, ant hills and termite mounds. The Bornean Sun Bear, Helarctos malayanus euryspilus, is the smallest of the two sub-species. Some scientists believe there may be only 10,000 Sun Bears left in the world. It’s hard to tell, though, as mistaken sightings and rare species surveys have made estimates unreliable. 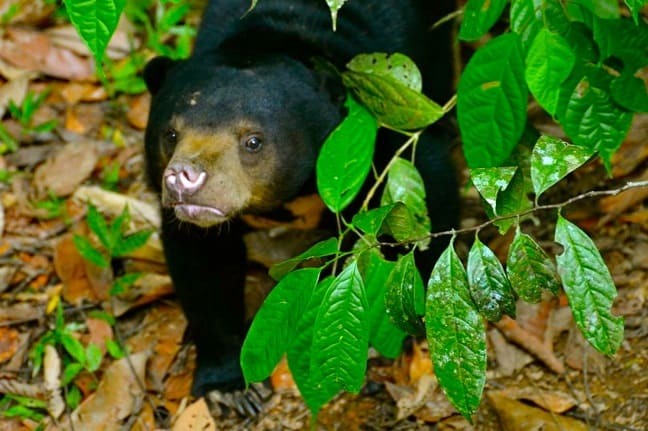 According to the IUCN Red List of Threatened Species, the global Sun Bear population may have declined by up to 30% in the past 30 years, which is the equivalent of three bear generations. Malaysian Sun Bears are protected and the IUCN classifies them as “vulnerable.” But that doesn’t mean they’re safe. Sun Bears need the forest to survive, but much of Sabah’s rainforest has been cleared for palm plantations. Fly from Kota Kinabalu to Sandakan and you’ll notice orderly rows of commercial palm trees, like a polka dot pattern across the land. Logging for hardwood trees has also helped destroy forests, leaving behind fragments too small to provide Sun Bears with a suitable habitat. 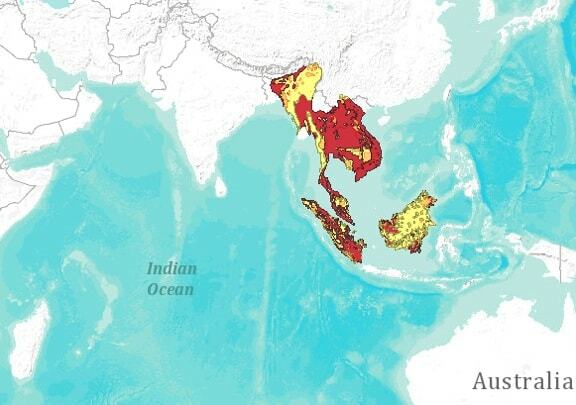 Clearing continues, although the government has taken action to protect large tracts of land in a last-ditch effort to save one of Southeast Asia’s few remaining major tropical forests. Still, many conservation groups fear that isn’t enough, and the past destruction can’t be reversed. 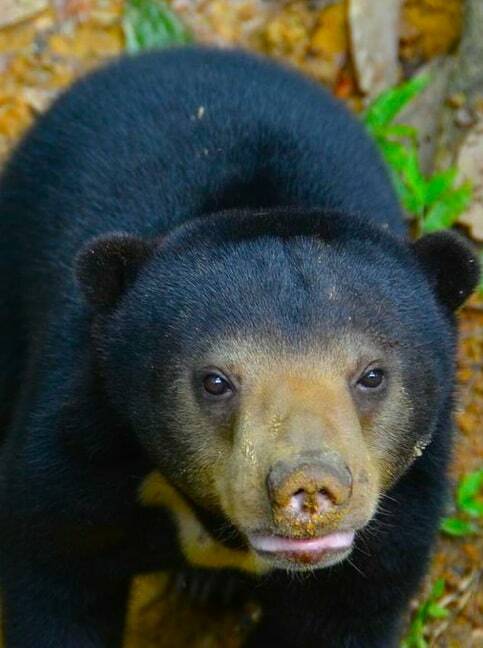 But one of the most pervasive threats to Sun Bears is the human desire to own them as pets. Many of the Borneo Sun Bear Conservation Centre’s animals have been confiscated from owners who didn’t even know they were breaking the law. So there’s clearly a pressing need for public education. But, even when the laws are known, they are often ignored, despite strong sanctions that include fines of up to RMY 50,000 (about $15,000) and five years in prison. 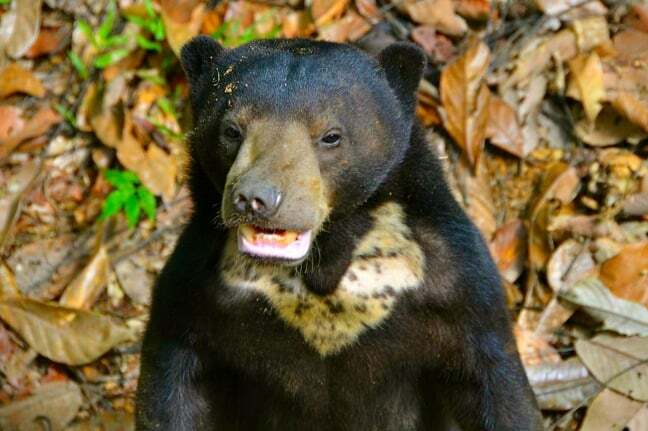 Back in 2008, that dream started taking shape with the rescue of seven Sun Bears and a partnership with the Sabah Wildlife Department, the Sabah Forestry Department, and the NGO Land Empowerment Animals People (LEAP). The sanctuary started from scratch with an old bear house, where rescued bears were held by the Forestry Service. An initial fundraising effort of $4000 was enough to build the first proper bear house, but fundraising for Sun Bears is not easy. Donations tend to go to the larger, more popular charismatic megafauna. The sanctuary has just 11 people on staff– far fewer than needed– but hundreds of local and international volunteers have proven willing to help out. 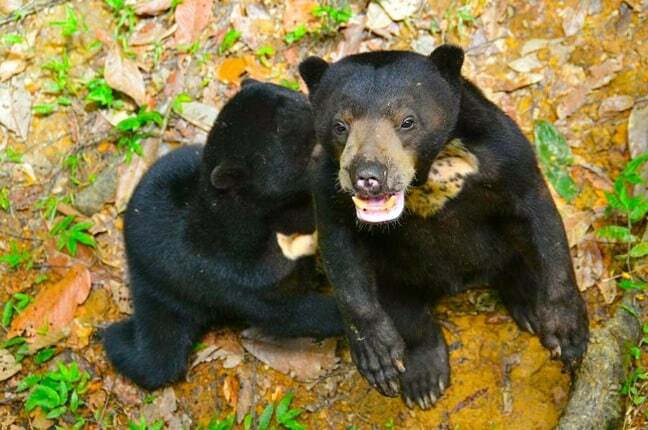 The Centre also has a volunteer program for travelers who would like to work more closely with the Sun Bears, or students who wish to learn more about these adorable creatures.